The beautiful and musical hot summer nights at Mersin International Festival include a wide variety of artists: from famous opera soprano Angel Joy Blue to Spanish jazz/pop singer Buika, national orchestras with Italian and Turkish conductors, young and talented violinists from Turkey and abroad, world music and traditional dance. 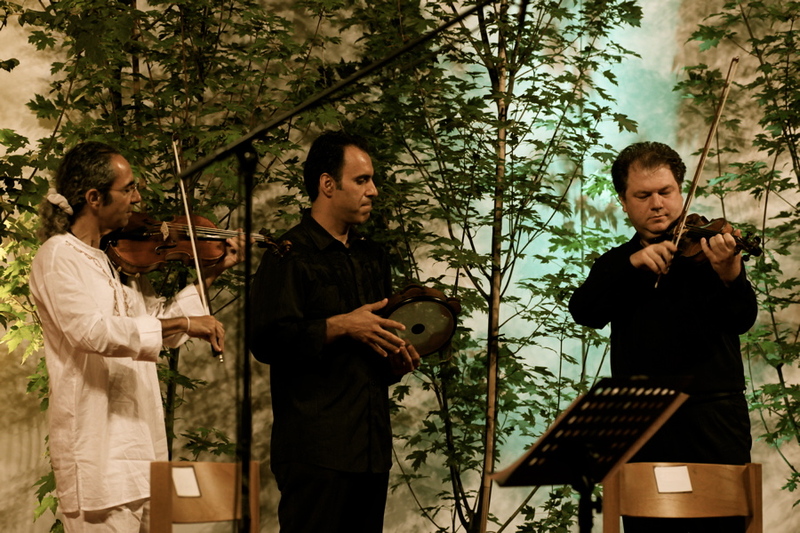 The event closing the Mersin Festival on 11 June brought together Turkish violinist Cihat Askin and two great artists from Israel for “In a Free Spirit”. Together with Yair Dalal (oud & violin) and Erez Mounk (percussion), they presented the audience with a spiritual wealth of ‘Maqam’, Jewish and Turkish music in the wonderful setting of the St. Paul’s church of Tarsus. “In a Free Spirit” was born four years ago, when the three artists performed it for the first time during the “Violins of Hope” event at Sion Festival (Switzerland). Master Violin Maker Amnon Weinstein – a good friend of the artists – started in 1996 to collect and carefully restore violins that had extraordinary histories of suffering, courage, and resiliency and precious artifacts from one of the greatest human tragedies: the Holocaust. Today the violins vibrate their peaceful sounds each time they are touched. The project’s mission should assure the continuation of a renewed spirit and serves as a warning against racial, ethnic and religious hatred; it’s a message of love and peace. “In a Free Spirit” merges the sounds of the oud and violin with percussion. The oud is an important musical instrument in the Middle East. It is probably the most beloved and shared instrument for Arabs, Muslims and Jews. “With the oud, as in the desert, time resonates in its own unique, boundless form, a type of Taqsim. Peace, too, takes its time,” says Yair Dalal. Yair, Cihat and Erez left the audience in Mersin with a great feeling. In an interview with TRT TV Yair Dalal said: “This festival is one the examples of having musicians come and play together from all over the world. Music makes people feel good; it’s cheering up our spirit, and makes us feel together.” Erez Mounk underlined his wonderful experiences with the organisers of the festival, the hospitality of the locals, the food and the marvellous city of Mersin. Mersin International Music Festival is a welcome addition to the busy artistic agenda of the city of Mersin. For 13 years, the festival has featured a great number of internationally renowned Turkish and foreign artists and ensembles, becoming the face of cultural activities in the Mediterranean harbour city and providing a boost to cultural tourism. Festival venues range from a recently built opera and concert hall with a capacity of 1500 to ancient edifices that are dated back 2000 years. A city and festival worth considering for a visit!